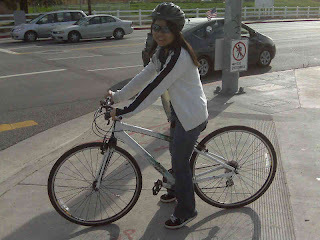 In an effort to try my hand (or legs) in the world of biking, I shopped around a got a bike at the Temple City Bike Shop. To comfortably afford one, I sold my mp3 mixer, which was lying around the house unused anyway. 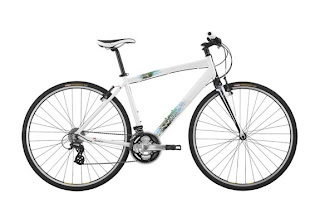 I did not know the difference between the different types of bikes -- road, moutain, and hybrid, or how to properly use gears -- until I started looking around. You see, I was using a mountain bike that my dad got at Wal-Mart. And though that was not an issue, the height makes me EXTREMELY uncomfortable both psychologically and physically. Pictured: Diamondback Clarity 1 - 2009 -- I bought this bike on 12/21/08! I don't believe I've had a chance to review my bike. I was waiting on this so that I could get more experience on it, but I think I have developed a good enough relationship with it to start. In short, I really don't regret purchasing this bike at all. 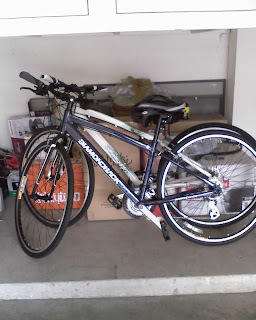 Although I don't have much time to ride it because of poor biking conditions in my city and the time I need to dedicate to work(s), school, and running, I believe it and I will be together for a long time. One of the reasons I like this bike so much is that it feels stable, much more than any of the other bikes I tested during my search. Also, I like how the gears are adjustable via levers instead of twisting the handlebars. I like how everything comes off with a simple lever and how cool my bike looks when I'm riding it. It has elements of a road bike, with medium-width smooth tires, with the ability to ride bumpy terrian without too much scariness. One of my favorite things to do is ride around the parking lot at work where there are speed bumps, sidewalks, and uneven road to ride. I've been trying to discover some good GPA scholarships on-line, however could not discover any till now! Then I found this web site, so definitely examine them out! They even give away huge quantities of each day money! One of the best[url=http://www.gpascholarships.org] Gpa Scholarships[/url] on your schooling proper now! I heard about Temple city bike shop but didn't go there for a while. After reading your post, I'm interested to visit that shop asap. Thanks for sharing your article with us. 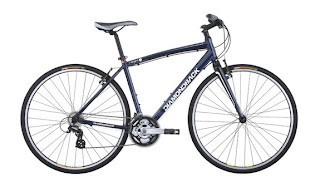 I need diamondback edgewood mountain bike in cheap rate.